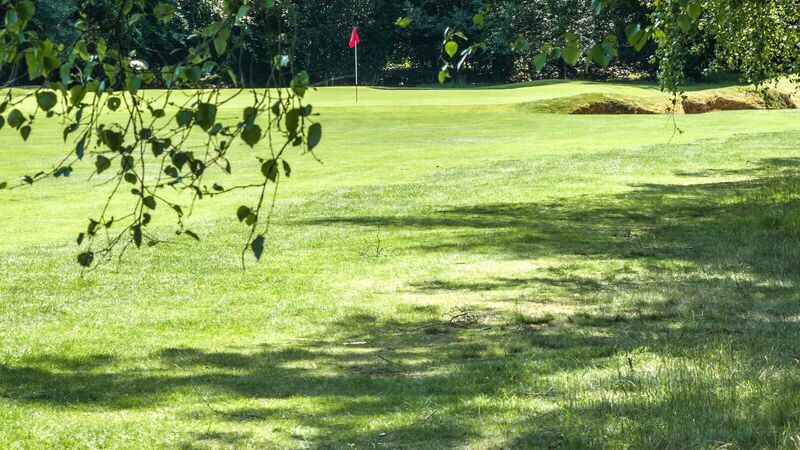 History :: Liphook is a traditional golf club with one of the best courses in the country. Opened in 1923, the course was soon recognised by the R&A as an exemplary inland heathland course and is also an early example of strategic design for golf courses. Liphook Golf Club was founded in 1921. 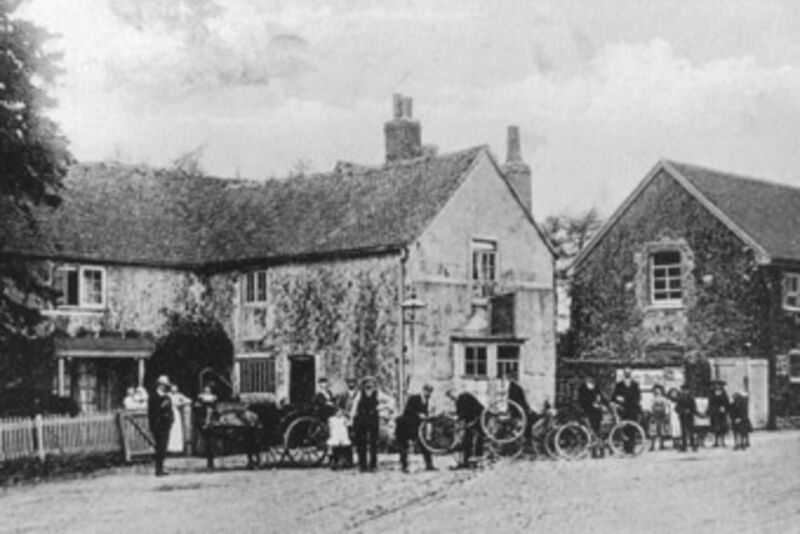 The first public meeting of the Liphook Golf Club Company was held at the Royal Anchor Hotel on June 25th 1921. The Company was incorporated on January 5th 1922 and the company was capitalised at £5,000 to meet the cost of building the course – a sizeable sum in those days. 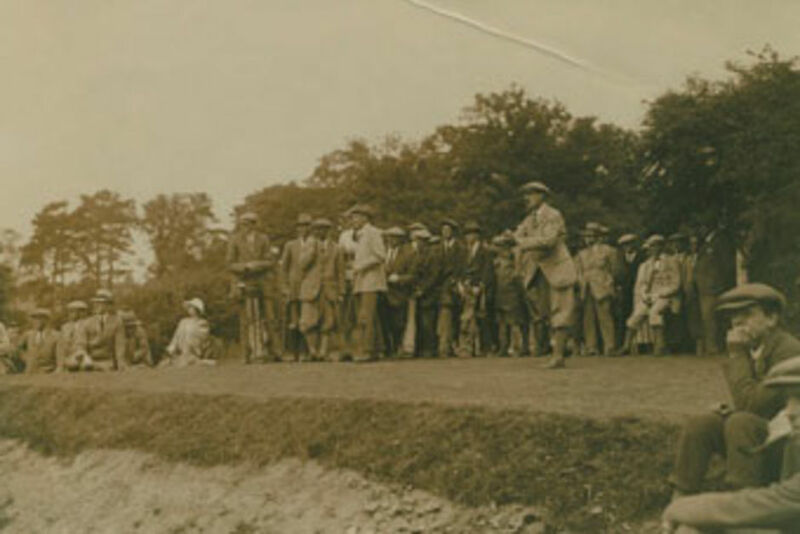 The first nine holes on the north side of the Portsmouth Road were open for play on 2nd September 1922 and the full 18 holes on June 15th 1923. As part of the Opening celebrations a medal round was arranged on June 16th which was open to all members with a special invitation to members of Bohunt Manor Golf Club which marked the first of a series of matches and rounds between the two clubs. Eleven days later there was a ‘Grand Opening Event’, a match between four of the towering amateur golfers of the day, Cyril Tolley, Roger Wethered, Arthur Croome and Charles Ambrose. Photographs capture the colour of golf in the 1920s. Cyril Tolley and Roger Wethered both lost to Bobby Jones in the British Amateur in 1930. The four players all wore jackets and ties. The sizeable crowd followed them round in formal tweeds, long coats and skirts which must have been uncomfortable on a hot June day. When the Club was first founded, in 1921, it occupied rooms in what was then the Wheatsheaf Hotel, one of Liphook’s two coaching inns on the old Portsmouth Road. The first hole and the eighteenth green in those days were those nearest the clubhouse. They are now the 10th tee and the 9th green. The Professional and the Head Greenkeeper were not allowed in the Clubhouse back in the 1920s. They were located in the Black Huts, just over the road by what is now the 10th tee car park. Efforts were made after the Second World war to purchase what was by then called the Links Hotel from Friary Breweries. When that failed, in 1949 the Club acquired six acres of land at the edge of the Wheatsheaf Enclosure to the east of what was then the 10th hole. A temporary clubhouse was built that year with the help of a member who helped the Club secure some ex-Army buildings, and the order of the two halves of the course was reversed and new holes created so that the 18th and 1st holes would end and start at the clubhouse. The new clubhouse was opened in 1961. A history of the Club – The Liphook Story - was written in 2004 and can be obtained from the Managing Secretary. Charles Ambrose drives off the first tee (now the tenth).